How we frame grammar instruction matters. If you view it as "fixing incorrect sentences," you teach it that way. If you view it as "building strong, compelling sentences," you take a different approach. This book explains a new way to teach grammar--systematically and purposefully--in order to strengthen student writing. It offers detailed guidance on which grammar standards to teach when and how to use grammatical forms to capture ideas. This new approach will enable students to write more efficiently and effectively. How can we teach grammar more effectively and integrate it with writing more systematically? How can we help students who are not on grade level? Which other factors affect how well we write? What should we teach, grade by grade, in K-12 ELA? Though pitched as a grammar instructional manual, this is secretly a book about how to teach students how to write clearly. It should be useful not only to K-12 educators but also to college writing instructors and writers interested in strengthening their practice. "Don't let the title scare you. 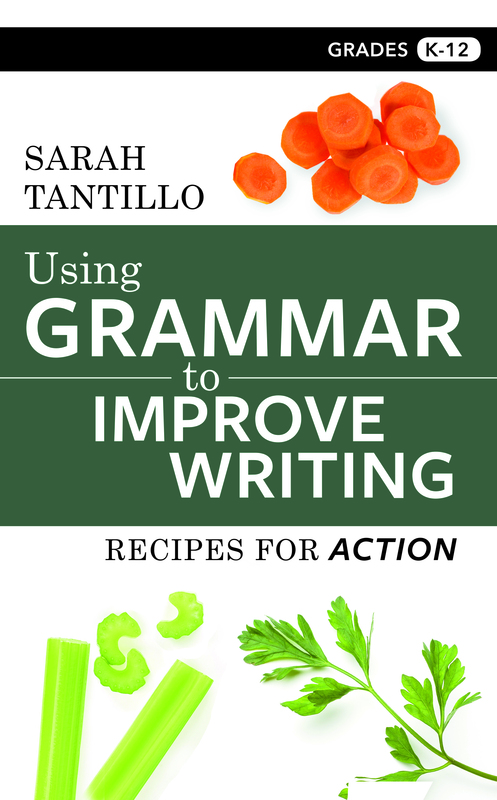 Using Grammar to Improve Writing is a game-changing book focused on a new kind of grammar instruction. 'Grammar' is an old word that's generally scorned. We look back at it and think, Thank goodness we don't use that anymore. When Sarah Tantillo uses the word, though, she means something very modern: the ability to use forms to capture ideas. This book shines a bright light on how to teach students to craft compelling sentences, effective paragraphs, powerful essays, and profound narratives." --Doug Lemov, author of Teach Like a Champion 2.0, Practice Perfect, and Reading Reconsidered. PS--For additional grammar resources, see the TLC "Grammar" page.